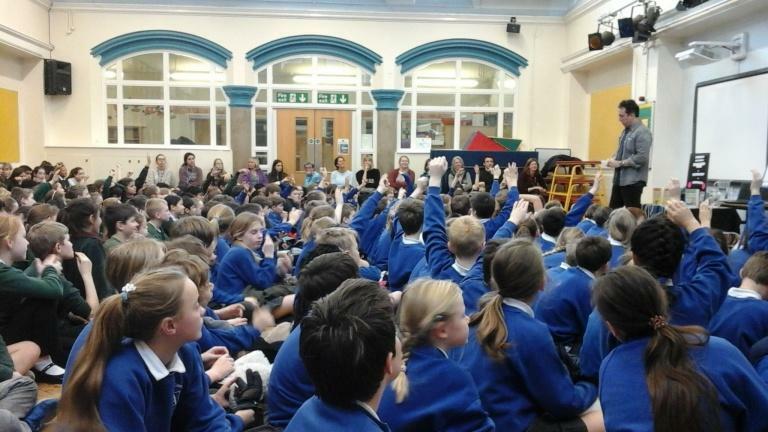 On Thursday 18th January, we took our years 5 & 6 classes to Trafalgar School for a combined author visit with Christian O’Connell, Radio DJ and author of the ‘Radio Boy’ Books. Our children enjoyed listening to Mr O’Connell read sections of his latest novel and talk about his writing and career. They were also able to ask questions and many children had brought their copies of his book for him to sign.